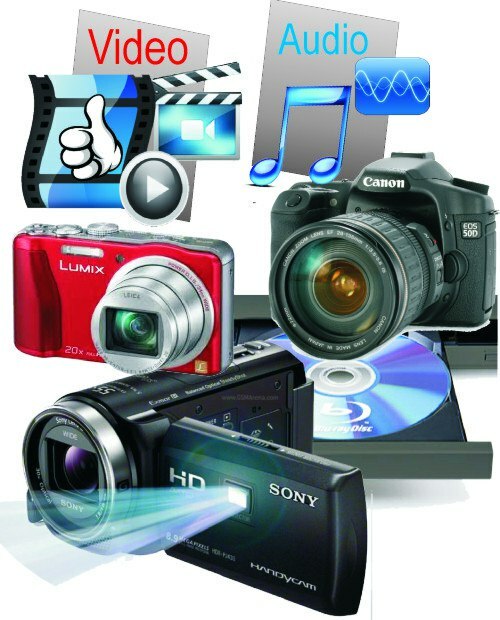 Do you just need a camera to film the kids, holidays etc? Do you do computer editing and upload footage onto the internet? Do you do recordings, where sound is critical important? Do you need broadcast quality? Keep the answers to these questions in mind, when you choose your camera. 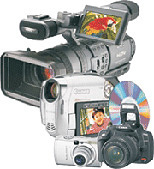 If you are not into computers, definitely stay with a disc or tape camera. This way you don’t have to worry too much about achieving your footage. Secondly let me tell you, that the picture quality of most camera types in the same price bracket is very similar. 3 chip cameras in combination with a quality lens will give you a better overall picture geometry, contrast and colour impression. HD cameras give you a higher resolution, which results into more clarity and picture detail. There is a set back to it though. Editing demands a lot more Computer power, more storage capacity for larger files and longer upload times to the internet. To get the sound right, you want to have external connectors for microphone and head phones. I have seen expensive and cheap cameras broken down just after the warranty period. Spare part prices are high for almost every brand. Just some brands supply parts quicker than others. So if you go for a basic camera, I wouldn’t care about the brand. Just follow the trend – if it breaks down, replace it. Budget There are cheap and expensive cameras available of any type. The special features make it more or less expensive. Once you know what type of camera you want, based on the comments above, type in the camera model in an internet search engine and find the best prices. Once you located the cheapest supplier on the internet print out the page, and go to a local shop. If they have this model, have a play with the camera to see, if you like it. And while you are at the shop, ask to match the price or give a discount. Camera check and maintenance Since cameras can have intermittent faults, which can be heat related, expand recording and playback times to an hour or longer.